The river rat was made for exactly what the name states "river rats". 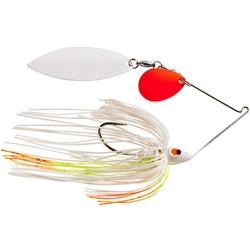 This spinnerbait boasts a gold frame, color patterns, and blade combinations that work best in shallow, dirty water scenarios. Proudly made in the U.S.A.